Hunting activities within the National Forest lands in Virginia are regulated by the Virginia Department of Game and Inland Fisheries. They provide all licensing and should be utilized as the governing resource for all inquiries related to licensing and dates. 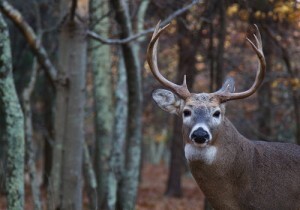 Wildlife abounds around Lyndhurst and Cabin Creekwood’s VA Cabin Rentals. Deer hunting is permitted in Lyndhurst VA and many locals are deer hunters themselves. There are many private hunting lands in our area and a few hunting guides that will take you on a guided hunting trip in our area. All hunters should have valid, in date, hunting license. The Glenwood/Pedlar National Forest District is our district area of the George Washington and Jefferson National Forests. Trapping is allowed, if you have questions please use the National Forest Hunting Website as a resource.